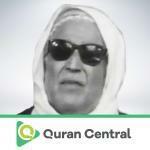 Ali Barrak set foot into this world in 1899 in Kairouan, Tunisia and was born with a vision impairment.Yet this did not curb his enthusiasm and motivation to realize his dreams of Quran recitation and mastering of Tajweed. Sheikh Ali Barrak is blessed with extensive knowledge and information on Seven readings, Tajweed and Tarteel. During his prelim years, Sheikh Ali frequented many Quranic gatherings to seek education on the Quran and its sciences. His quest was satisfied with him attending the Quranic School where he sought most of his knowledge. His career took a giant leap with the Tunisian radio channel where he made a soulful and heartwarming recitation of Surah Al Fatiha. He began to flourish by leaps and bounds and Allah gave him the ultimate gift of a video recording in his own unique voice. This was the very time when the foundation of the launch of Tunisian TV happened in the late sixties. Sheikh Barrak has had the good fortune of visiting the Holy lands of Makkah and Madinah in his lifetime where he managed to demonstrate his soulful Quranic recitation in the Masjid Al Haram and Masjid Nabawi in the years 1950 and in 1963.